Civil service mariners aboard Military Sealift Command fleet replenishment oiler USNS John Ericsson rescued five people lost at sea in a small boat near the Solomon Islands May 18. While conducting routine operations in the Solomon Sea May 17, Ericsson received notification from the Maritime Rescue Coordination Centers in Australia and Papua New Guinea at about 11 p.m. to be on the lookout for a missing commercial vessel. At about 8 a.m. local time the following morning, Ordinary Seaman Tyrone Mouzon spotted a small commercial vessel with five individuals aboard waving frantically. Mouzon notified the watch officer, Third Mate Timothy Gervais, who alerted Ericsson’s civil service master, Capt. Richard Kirk. Kirk immediately ordered the ship to sail towards the small craft to render assistance. “Visibility at the time was very limited by rain squalls so it was very fortunate that the mate on watch spotted these commercial sailors,” said Kirk. Ericsson carefully inched close to the boat and the ship’s crew secured lines to the small craft. Safely secured alongside, Ericsson brought the commercial sailors on board where they received a medical examination as well as food and water. “The sailors were tired and dehydrated but they appeared to be in good condition,” said Kirk. According to Kirk, the five Solomon natives said they were transiting between the Solomons’ Nissian and Bougainville islands when they became disoriented by bad weather and heavy seas, spending two nights and three days lost more than 35 miles out to sea. “They had no food and water remaining,” said Kirk. Ericsson’s crew was also able to salvage the small boat by placing a large net underneath the vessel, lifting it out of the water using the ship’s crane, and securing the boat to the side of the ship for transport. Ericsson then made the short transit to nearby Bougainville Island where the five commercial sailors, along with their vessel, were repatriated ashore. Ericsson is one of MSC’s 15 fleet replenishment oilers that deliver aviation and diesel fuel to U.S. Navy ships at sea. Ericsson was in the region supporting U.S. Navy ships involved in Pacific Partnership 2011, a humanitarian and civic assistance mission in the South Pacific. 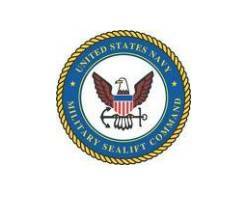 Military Sealift Command operates approximately 110 noncombatant, merchant mariner-crewed ships that replenish U.S. Navy ships at sea, conduct specialized missions, strategically preposition cargo at sea around the world and move military cargo and supplies used by deployed U.S. forces and coalition partners.